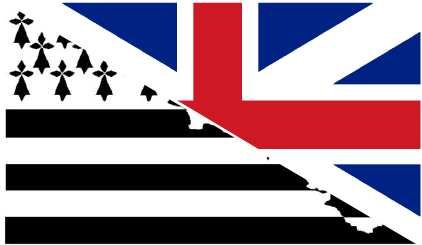 A conference on the impact of Brexit was organised in Brest on 2 March by the Brittany region and the “Maison de l’Europe” of Brest. Desmond Clifford, head of cabinet of the Welsh Prime Minister, took part in a round-table discussion, along with Jean Hamon, President of the CESER Brittany region, and Forough Salami, CPMR Vice-President and Vice-President of the Brittany Region. They were also joined by Damien Perisse, CPMR Director for maritime affairs, and Maggie Fee, from the association, Intégration Kreizh Breizh, which represents British citizens living in Brittany. The participants discussed the conclusions of the report ‘Et après ? Les enjeux du Brexit pour la Bretagne’, published by the Brittany region’s Regional Economic and Social Committee (CESER). Desmond Clifford also outlined the issues related to Brexit outlined in the Welsh White Paper ‘Securing Wales future’. Damien Périssé focused on the potential consequences of the Brexit in the maritime field, based on the findings of the CPMR Technical paper ‘What consequences will Brexit have on maritime policies of the European Union?’ published in the annex of it its Policy position ‘The Seas and Oceans, a key issue for the future of the European Union’. In particular, the discussion highlighted the consequences that Brexit might have on cooperation between France and the UK in maritime areas such as Fisheries, Marine research, and Maritime Spatial Planning. Both Desmond Clifford and Forough Salami stressed the importance of maintaining strong cooperation between Wales and Brittany in all areas where Brexit might have consequences.